Visit the data center from your desk with NetZoom™. 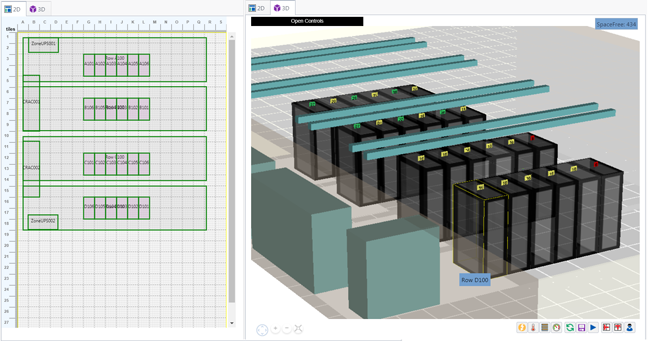 Now you can see all levels of the data center site, building, room, locations, and rows all the way to the racks in 2D or 3D with full detail. 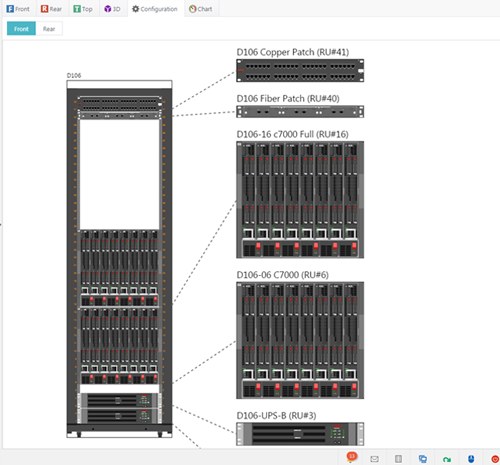 Use a Configuration view to see where everything is mounted in the rack. Capacity Overlays deliver information to your fingertips. Now you can view the device information, space, power, temperature and other metrics along with the devices and racks. 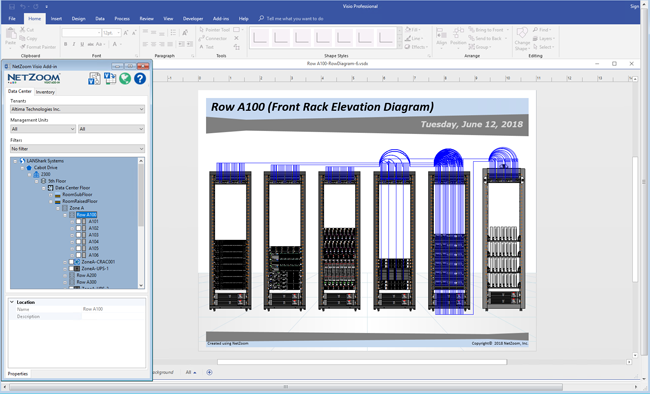 Use the NetZoom Visio Add-in to create Visio diagrams automatically. All Visualization starts with the NetZoom Device Library which has over 250,000 devices from over 5000 hardware manufacturers. Now you have access to all the servers, switches, storage, networking, power and cooling devices you need to visualize your data center accurately. 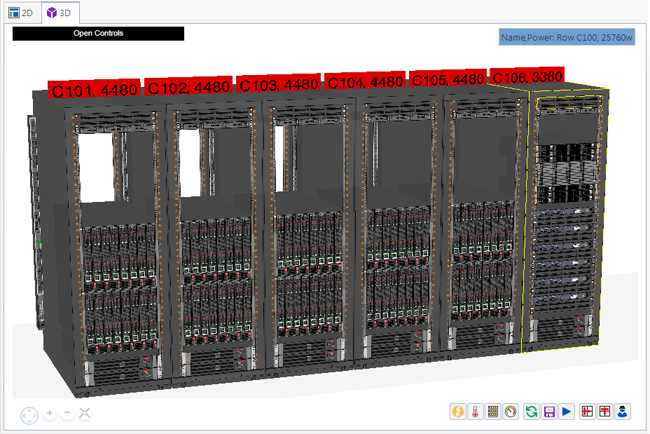 All chassis are fully configurable to match the installed hardware in the data center.